I specialise in Anxiety, Depression, Relationship issues and Trauma. I am an experienced practitioner with over 15 years experience, in that time I have worked closely with various organisations a few of which are: Barclays Bank, Cheshire Police Authority (CPA), East Midlands Ambulance Service (EMAS), Yorkshire Ambulance Service (YAS), RDASH, and Pennine Care (NHS). I have gained extensive experience two fold; working with vulnerable people in stressful situations and/or, at risk in private practice, and in a successful corporate setting with business professionals. 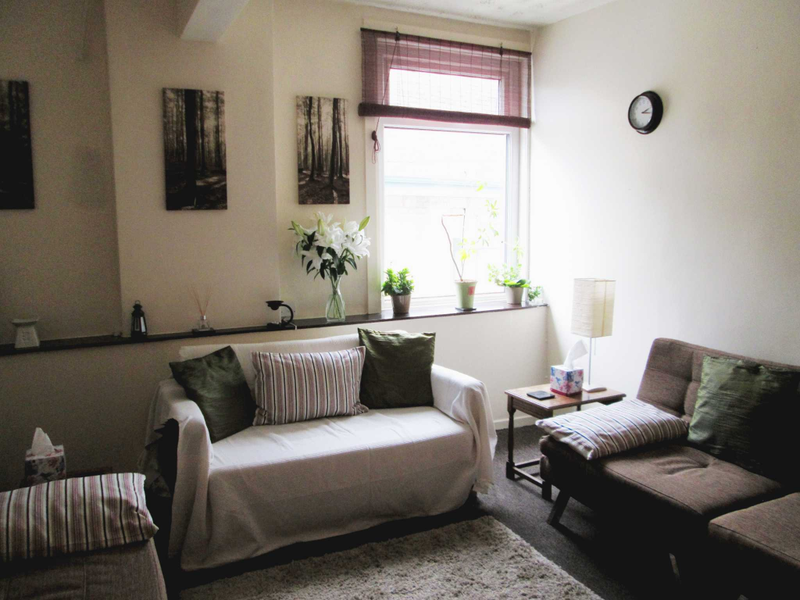 I remain in ongoing monthly supervision of practice and hold accredited, registered membership with the British Association of Counselling and Psychotherapy and I am also a Bupa registered therapist. A qualified Supervisor and a qualified teacher of Counselling and Psychotherapy. I am at best when psychology and development are combined. I passionately believe in learning, facilitating people to develop awareness and solutions to challenging life events. I am energetic and positive about cascading my experience and skill to facilitate dynamic ways of working with clients, peers and trainees. I value diversity and I am committed to developing and empowering myself and others. BSc (Hons) Professional Counselling. Registered member MBACP (Accred). PGDE, Dip CBT, Dip NLP, Dip Couns, Dip Supervision, Cert TA, Cert Couples and Relationships, Cert Trauma.